Disney has been around for nearly a century and continues to grow with every generation. With over 150 Disney movies, with more coming out every year, deciding on your Disney tattoo design will be a very difficult decision. 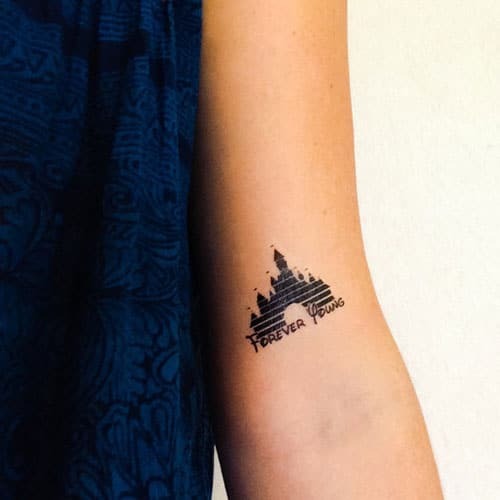 If you are not a Disney die hard, chances are you know one, but no matter what you have to admit these tattoos bring a smile to your face. 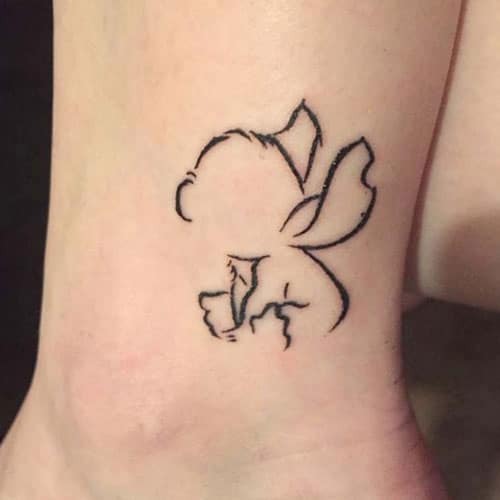 A Disney tattoo for a Disney fanatic is the ultimate tattoo. In order to help you make the difficult decision on which Disney quote or character you will choose as your tattoo masterpiece, we have compiled the best Disney tattoo ideas below. 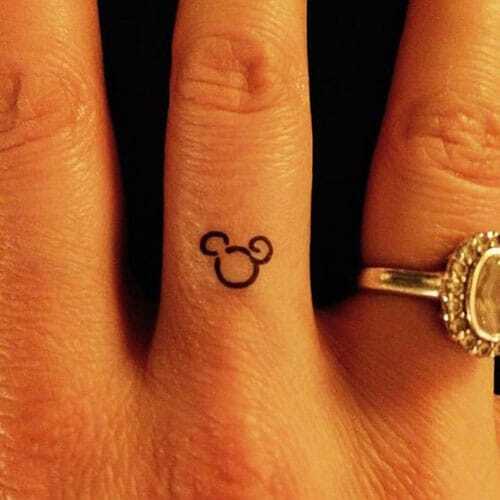 Nothing is more adorable than a subtle Disney tattoo. A small wrist or ankle tattoo will allow you to have your Disney artwork in discretion but show it off when you choose. Nothing is better than getting a tattoo of the mouse himself! Mickey Mouse is a character loved around the world. Whether you choose to have his entire character, or only have the famous Mickey Mouse symbol tattoo, your art will bring a smile to your face and anyone who sees it. 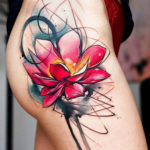 Disney movies are full of color and vibrancy, but who said a black and white tattoos can not be just as wonderful. Look below for some black and white Disney tattoo ideas on how to represent your favorite characters. Finding the piece that speaks to you will not be an easy decision as there are hundreds of Disney characters and Disney themed tattoo ideas. Whether you want to go for a classic Beauty and Beast tattoo, or do a more recent stitch tattoo, the representation of your characters is completely up to you. Look below for the ultimate Disney tattoo ideas and inspiration for your own artwork. When you have found your Disney fanatic soulmate, what is better than a matching Disney tattoo! 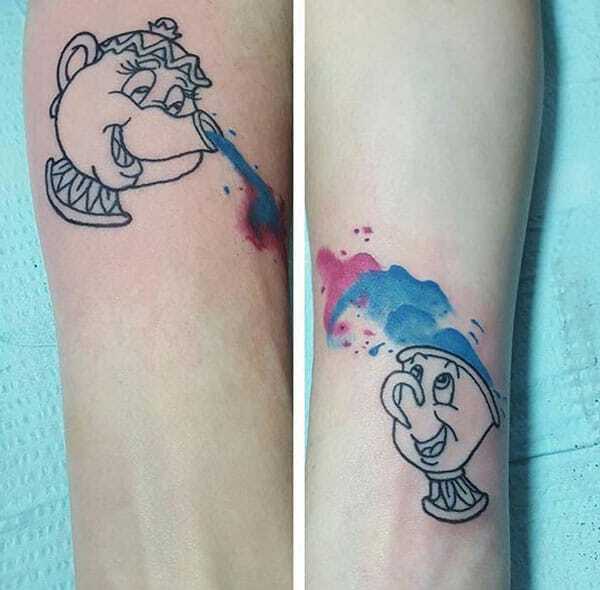 Look below for the best Disney matching tattoos.